Blog Have a Spacious New Year! Have a Spacious New Year! In Yoga, we talk about creating space. 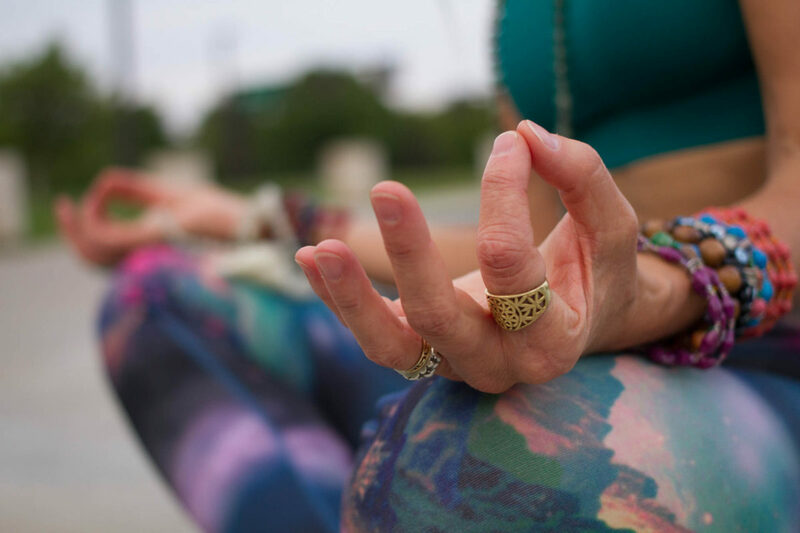 Space within a joint or muscle, space within the asana, space in our lives for practice, quiet and meditation. Space to just be with that universal presence. Ah…the joyful feeling of space! So why is it that too often, we tend to overload our life so there’s almost zero space left? I think for me, it’s wanting to do everything I love and everything on the “should” list. I know there are many days where I feel completely overwhelmed and pulled in a plethora of different directions. I bet you feel that way too! So before we start to pile on more to-do’s and resolutions for the upcoming year, let’s clear some space. As the year comes to an end, what do you need to let go, release, dissolve? Are there people, situations, tasks that you need to say goodbye to? Maybe it’s a habit or attitude that isn’t authentic to who you are now. Maybe it’s exploring personal boundaries and limits. Maybe it’s learning to say “no” sometimes and be OK with that. Find a quiet moment to stop and be still, close your eye, focus on your breath and really take time to feel that joyful, luscious, space. Allow those things that need to be released to come to the surface. Discover your best way of letting them go. Try writing them down on a slip of paper and ceremoniously burning them or sending them through the shredder. Perhaps record or write down some affirmations releasing these things and soak in the vibrations. Host a goodbye party and let them go. When you do, you create more space for what you love, what’s important and what’s authentic for who you are now. Thank you for sharing your precious time and practice with me! I am grateful for all the students who I can hold space for. You inspire me! Blessings, peace and wishes for joyful, nourishing space in 2018 and beyond. Love your message and how true. I look forward to practicing and learning from you in 2018.